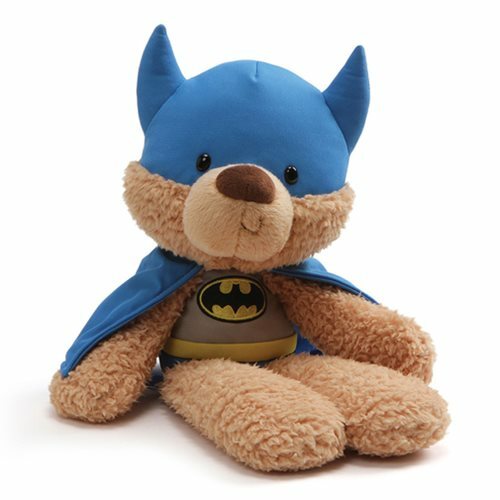 With his blue cape and mask, and the Bat symbol on his chest, Fuzzy Bear is being Batman today. This delightful DC Comics Batman Blue Costume Fuzzy 14-Inch Plush is made of a soft polyester blend and measures 14-inches tall x 7-inches wide x 5-inches long. He's here to save your day! Ages 1 and up.